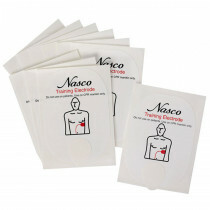 Prepare students for emergency situations with the Nasco Universal AED Trainer. 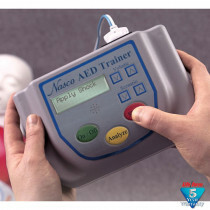 Simply push a button to set the sequence of events that will help students learn the appropriate steps to follow in both shock and no-shock situations. 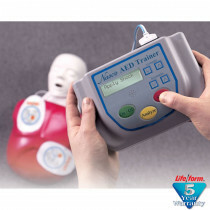 The instructor can select from four AHA recommended AED training scenarios. Once the scenario is selected, the trainer will prompt the student in appropriate actions and responses. DID YOU KNOW? Nasco was started in 1941 by a vocational agricultural teacher, Norman Eckley. He developed several teaching aids to use in his vocational agriculture classes…teaching aids that were not readily available from any other source. This simple act of filling a classroom need with an appropriate product was to become a way of life for Nasco in the years to come.